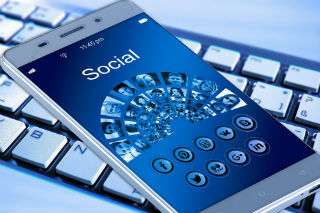 While many business owners understand that social media marketing is important, the true value of these marketing channels can often be misunderstood. It isn’t just a popularity contest about who can get the most retweets, fans, and likes. Instead, as a franchisee, you should be using social media to find out more about your customers, improve your customer service, and promote your business. Here are the Top 5 Reasons Why your Franchise Business Should be Using Social Media within its marketing strategy. Every day, there are 95 million photos and videos added to Instagram, 4.5 billion “likes” on Facebook, and 500 million Tweets. This is a staggering amount of information that’s being shared, providing you with vital information about your customers, including how they feel about your franchise brand, what they like, and who they are. relevant data about your customers that you can use to make smart business decisions. When there’s a conversation happening around your brand, you’ll be one of the first to know, allowing you to react to this straight away. Your business may have a telephone number and email that customers can use to get in touch with you, but more and more customers are turning to social media to get the answers they want – 67% of customers in fact. With this many people preferring to use social media to communicate, it’s crucial that your business is able to answer their queries through these channels. Customers want reassuring that, if they’ve got a problem, they can find help quickly. Being approachable to your customers will enable you to increase your brand awareness – which brings us onto the next benefit. Research by eMarketer revealed that 37% of customers are using social media to do their research about brands, services, or products. And, even though your franchisor will have created brand awareness on these sites already, it’s your job to promote your individual franchise within a given location. By making sure your business is easy for customers to connect with, you’ll increase brand loyalty and customer retention, while also increasing brand awareness. One of the most inexpensive ways of getting your franchise business recognized within a local area is to use social media ads. This business marketing tool allows you to reach out to your targeted audience, capturing people based on their demographics such as age, gender, job type, company, and location. Armed with the research you’ve conducted on social media, you’ll know your customer and you’ll be able to tailor your ads to those who are interested in your service. For example, if you were running a home cleaning service franchise, you may want to target working moms. Your franchisor may run a statewide, regional, or national deal that each franchise can promote. This is the ideal opportunity for you to use social media to let your customers know about this. Use it to share coupon codes, printable coupons, discounts, and deals, and attract local people to your business. The key to using social media marketing for your franchise is to remain consistent with your franchise brand. Offer a personalized approach that your customer can relate to and share intriguing content that they’ll want to share with their friends and family. Even though your franchisor has already done a lot of the hard work on social media, this needn’t limit you in growing your own business in a local area. Expanding your franchise through social media will help you to gain instant access to your target audience. Why not connect with us on Facebook to see what brand awareness we create around the Dwyer Group?